Growing long manes and tails seems easy for some and is an ongoing battle for others. As a breeder and owner of Morgan horses, Moriesians and Friesian horses, there are a few things I would like to share with you about growing long manes and tails. First of all I need to share that genetics does play a role in growing long manes and tails. Have you ever seen an appaloosa with a mane and tail like a Friesian? I haven't... unless it's a cross... So, that being said, horses can only grow manes and tails as long as their genetics will allow. 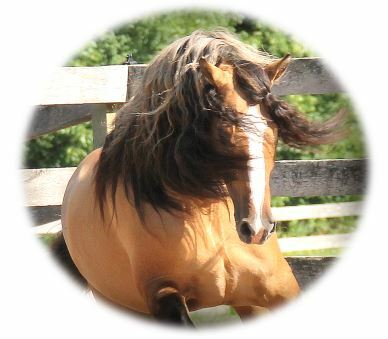 After considering the role of genetics, there are definately some other variables to consider when trying to grow beautiful manes and tails. You may have a horse that can grow a long mane and tail genetically, however, there are some underlying issues where the mane just seems to get never grow long. The second important element in horse hair health is nutrition. A horse needs good nutrition to have healthy hair. The third part that plays a role in long manes and tails is environment. Check your horses' paddock for places that he/she can snag their manes and tails on including fencing, shelters and feeders. Some times it's just their routine that is snagging the hair. The fourth part is mane and tail rubbing. This part can be a nightmare if you cannot get it under control. They can start out by itching a bug bite and it can turn into a bald spot that is inflamed and sore from rubbing and then they are itching from rubbing. Be sure to keep your horse’s underbelly, sheath or udder, and fold between the hind legs clean! Horses will rub themselves trying to get to these places they cannot reach. Identifying allergy problems and treating them is your best defense against allergy rubbing. Do not brush the mane and tail every day! When you brush every day you are pulling out too much hair and the mane and tail can become thin. Apply detangler and finger comb it to keep the knots at a minimum. I do braid on occassion, however, use caution to not braid too tight as it will break the hair near the roots and depending on where your horse lives, be aware of anything your horse can catch their braids on and tear the hair out. 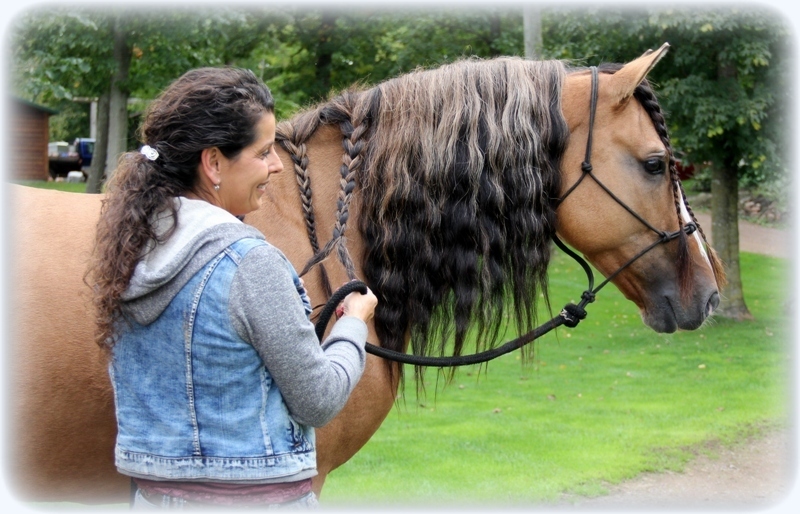 Braiding can also cause a horse to rub, however, properly kept braiding and protecting hair with mane and tail bags can also promote longer hair. If you do braid and use a tail bag, be sure to leave a section of hair down for fly swishing. In general with most of our horses I leave the hair down and natural and just apply detangler regularly. It is less work and uncomplicated. Use a detangler! Before combing through the mane or tail, spray a good detangler free of silicone on the hair. Work it in with your hands and then gently comb through to get the bigger tangles out before brushing with your mane and tail brush. (The silicone in most detanglers are not good for hair. It is like a plastic coating on the hair and attracts buildup and can weaken hair and cause breakage) I spray our Original Detangler (silicone free and human grade) on our horses manes and tails weekly as maintenance to help keep the hair tangle free. 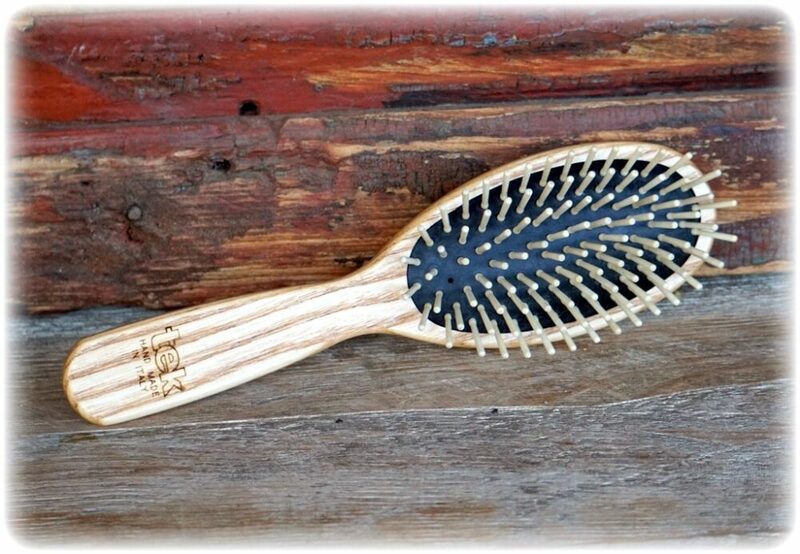 Use quality grooming brushes and combs! Use combs and brushes that have smooth teeth for combing and brushing through manes and tails. Do not use brushes that will scratch the skin or break the hair. A wide toothed pick with detangler spray works well and technique is important. Always start at the ends of the hair and work up the mane and tail for the most gentle effective way to detangle without hair loss and breakage. Be gentle. Thorough brushing to the skin is important! Do not do this every day... I try to do this weekly. When thoroughly brushing out the mane and tail, be sure to take the time to massage the teeth of the brush on the skin at the base of the mane and down to the tail bone. Massaging the skin helps stimulate blood circulation which promotes hair growth and helps to carry the natural oils throughout the mane and tail. Use Original Skin Repair No. 01 if your horse is rubbing! 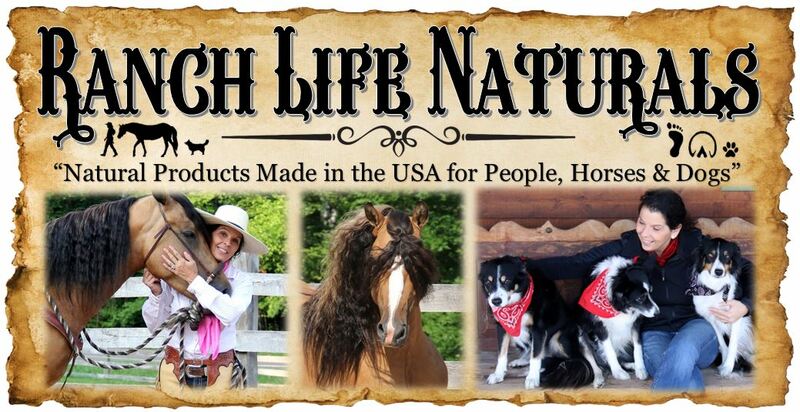 I developed this product especially to stop rubbing and promote the growth of long manes and tail. If your horse is rubbing her mane and/or tail apply this product by pumping it down into the skin and working it in with your hand and and you can brush it through the hair as well. Our skin repair product is a unique formula blending botanicals, essential oils and extracts that promotes skin repair and supports hair regrowth with properties that are naturally anti-inflammatory, anti-bacterial, anti-fungal & anti-viral. Bathe your horse with a good shampoo and conditioner! A good bath on occassion is great for your horse hair health. Take care not to bathe too often as it can dry out their skin and cause itching. In addition, be sure to thoroughly rinse the shampoo from your horses hair and apply conditoner generously to condition hair and skin to help prevent itching. I use our Original Shampoo and Conditioner that is natural and human grade. It works great, nourishes hair and skin and rinses out nicely. Trim the tail if needed. Several of our horses grow thier tails so they are touching the ground. This can cause a thinning tail as they will step on it when they back up or when they get up from laying down. I trim the tails to be a few inches from the ground to help keep a full tail. Fly control is important to promote long manes and tails. It's impossible to eliminate all flies, however, keeping the fly population down does help with swishing and rubbing. We use fly predators and our natural tick and insect repellant to help with insect control. Happy Growing Long Manes and Tails! 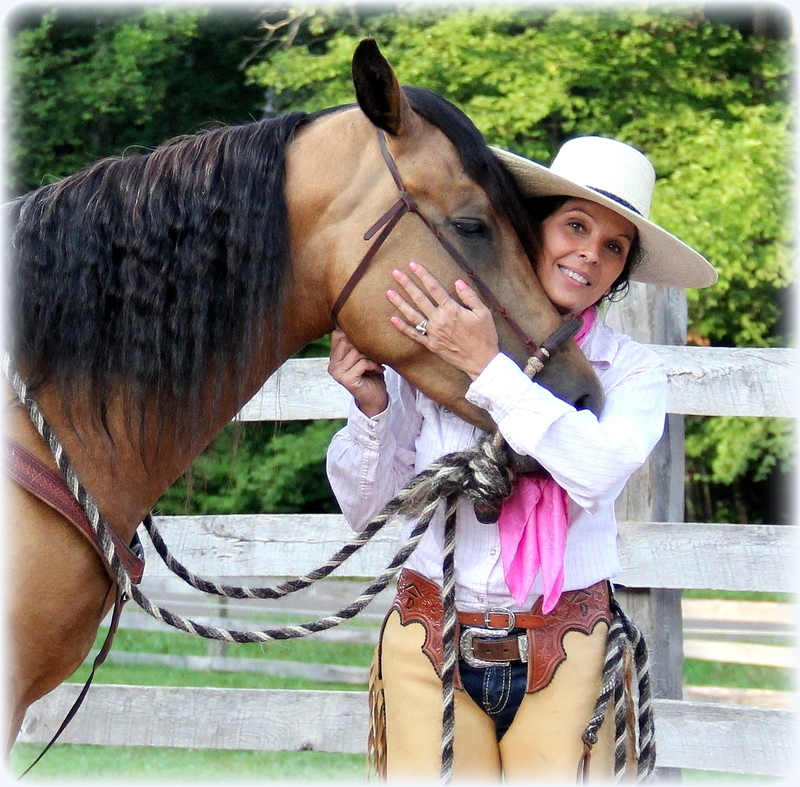 I hope some of the information I shared can help you achieve a long mane and tail with your equine partner.